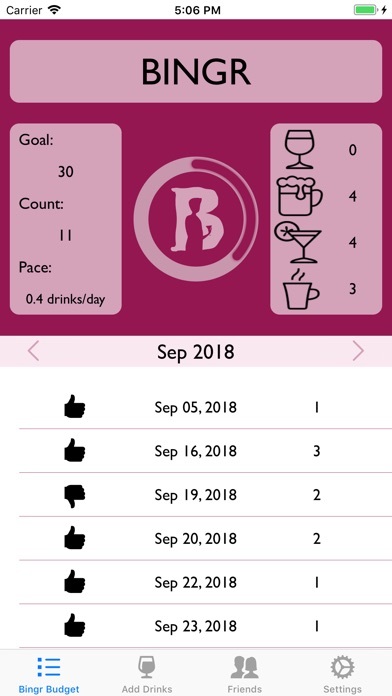 With Bingr you can record what you drink and how much you drink on a daily basis. 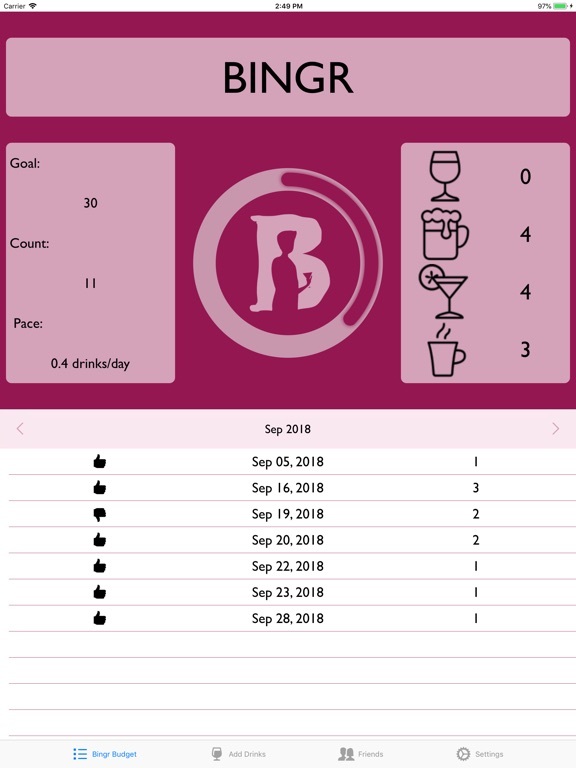 At the end of everyday, record your final tally. 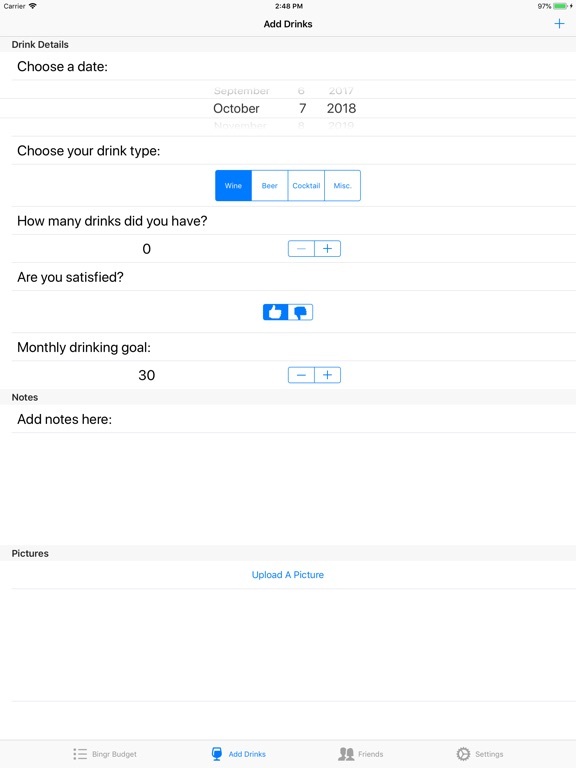 This allows you to keep track of and monitor your drinking habits. 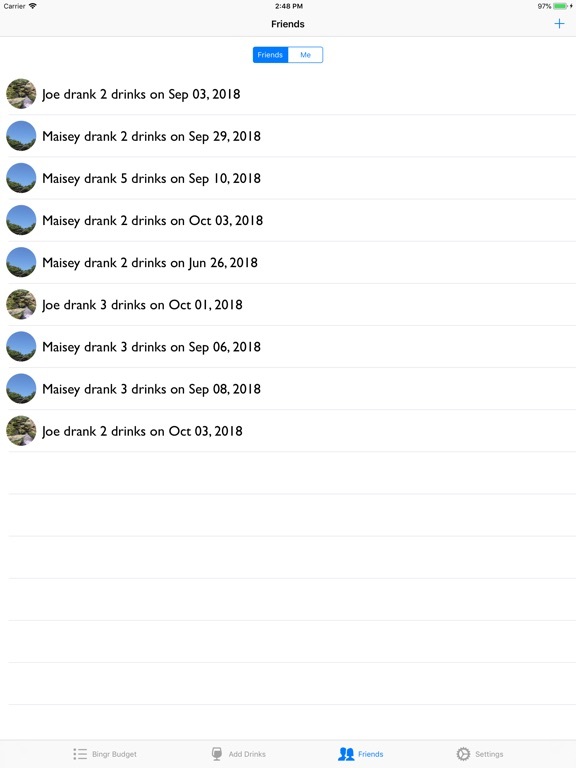 With a friend feed, you can see what your friends are drinking as well. 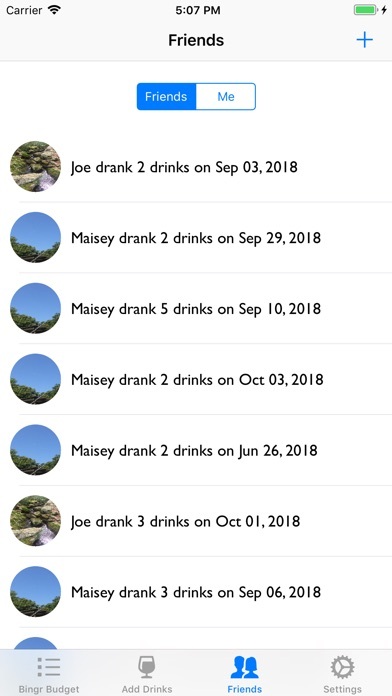 Drink responsibly! 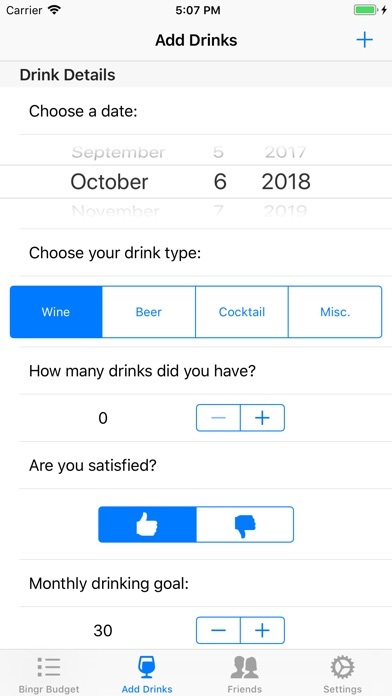 You can now select in-app avatars as your profile picture. You can also see who you are following and who is following you.